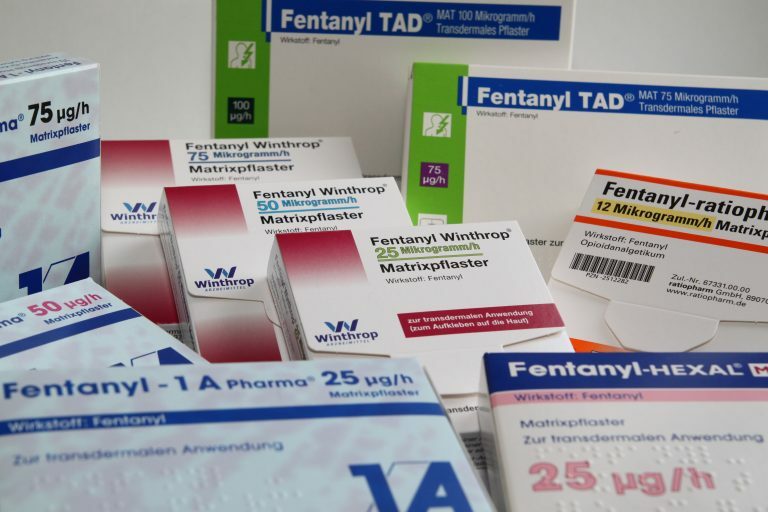 Fentanyl, a powerful opioid painkiller developed in the early 1960s, has been an important part of pain management strategies for decades, but a recent explosion of fentanyl abuse has had tragic consequences. The illicit Fentanyl is thought to be made mostly in illegal labs in Mexico and China. The powdered fentanyl is sold on the street for the same price of heroin and those abusing it often think it is heroin. The two drugs also are often mixed together, creating a deadly combination. Fentanyl is up to 100 times stronger than morphine and 50 times stronger than heroin. Not only that, but fentanyl is being used to give more kick to heroin. 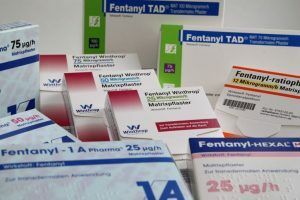 Due to its potency, anyone who uses fentanyl is highly susceptible to developing a fentanyl addiction, whether they were prescribed the drug or not. In April 2016, the fentanyl crisis claimed its first high-profile victim, the singer Prince. It wasn’t clear whether or not he knew he was taking fentanyl. Heroin laced with fentanyl is even more dangerous and deadly than just heroin alone. Fentanyl is a very fast-acting drug. Too much can shut down breathing almost instantly. In fact, it acts so quickly that many overdose victims are found with the needle still in their arms. Fentanyl being a narcotic, not only relieves pain, but it also suppresses the respiratory system. It is extremely addictive and powerful. It only takes a tiny amount for an overdose. Authorities must be ever more vigilant to safeguard themselves from accidental exposure to Fentanyl-laced products. There have been several documented cases of officers and canines unknowingly overdosing during drug busts. If you find what you believe to be fentanyl, do not touch it at all. Its Heroin-like effects have made it a favourite filler for dealers to cut with and help retain customers. This is exposing more users to the effects of Fentanyl without their knowledge and getting them addicted to a drug they don’t even know they’re taking. When an addiction does occur, a complete loss of control over the use of the drug is present. Even those who want to quit will find themselves unable to resist the pull of the substance. Fake oxycodone, actually made with fentanyl is sold illegally on the street, and is partially responsible for an increase in overdose deaths. Many countries are experiencing similar issues. The drugs bear the same markings as oxycodone tablets and are coming into the country from China and Mexico. As mentioned before, both heroin and Fentanyl slow down the body and suppress breathing. If left untreated, the user normally dies. Naloxone, or Narcan, is now being used in many areas to treat heroin and other opiate overdose problems. It can work in as little as 20-30 seconds to counteract the effects of the opiates. Since the effects of fentanyl tend to last much longer than those of heroin, multiple doses of these medications over a period of time are usually required to help keep the person alive. The form and strength of fentanyl vary. Much of it is time-released and designed to last for many hours or even days. The treatment can also take several hours or days. Opiate use and abuse is an ever-growing problem in our society today. Much stronger drugs like Fentanyl are even more dangerous and deadly. Since most Fentanyl is made in illicit labs, there is little control over its strength and quality. It is a dangerous game of Russian roulette to play when you start taking Fentanyl. 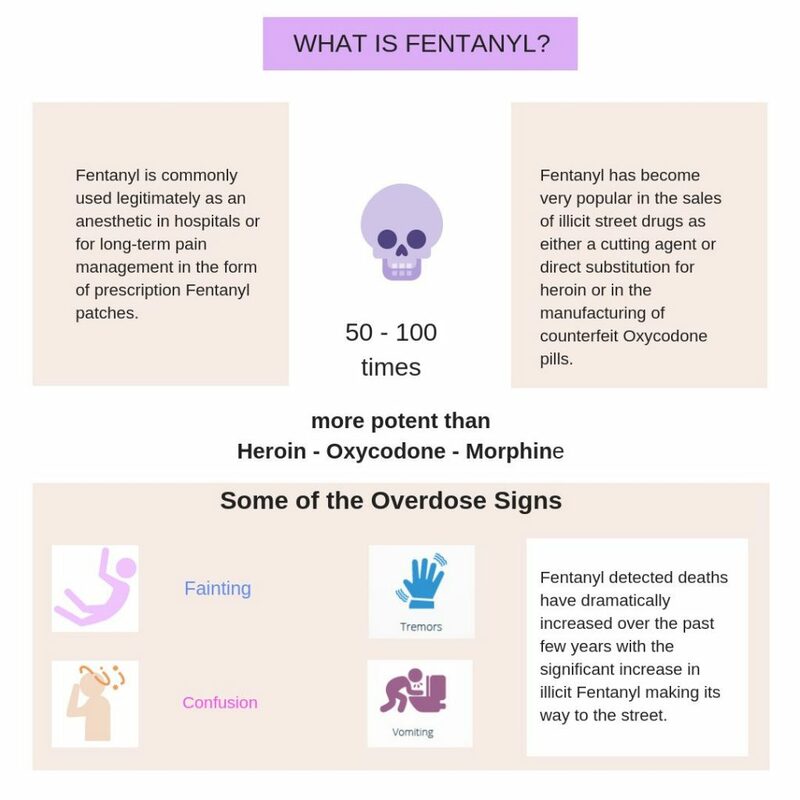 If you or someone you love is showing signs of abusing fentanyl, help is available; It is vital that you seek help for this as soon as possible, as your life may depend upon it. Much of the power of fentanyl regarding being a pain reliever and also in that it is a frequently abused drug comes from what fentanyl does to your brain. As with other opioids including heroin and morphine, fentanyl binds to the opioid receptors that are found throughout the brain and the body. They’re located in areas of the brain that regulate how you experience pain and also how your emotions are controlled. When you take a drug like fentanyl, and it binds to these receptors, they flood your brain’s reward centres with dopamine. Dopamine occurs naturally, but not at levels like it does when someone takes fentanyl. This flood of dopamine is what creates euphoria and a sense of extreme relaxation. What fentanyl does to your brain and how fentanyl affects the brain are similar to heroin, but even more powerful, and in addition to euphoria and relaxation, other signs of the effects of the drug can include nausea, drowsiness, sedation, confusion, respiratory depression, respiratory arrest, coma and even death. Fentanyl addiction treatment will vary based on the clinic chosen. It is strongly recommended that no one treat this severe addiction on their own. The process of detox can be intense for any addiction, but for something as potent as Fentanyl, you could be putting your life at risk. The right clinic can provide a medical solution to manage symptoms of withdrawal and keep you from unnecessary harm. Recovering from a Fentanyl addiction, especially one which was developed unknowingly doesn’t merely mean sobriety. It means getting your life back, finding purpose, and reestablishing the connections that may have been harmed by addiction. If you or a loved one are looking for help and in need of drug rehab treatment, reach out today. Dedicated treatment specialists are available around the clock. How do you cure a fentanyl addiction? Discuss with our addiction advisors about the method of treatment method that will best suit your recovery. Each type of treatment has its own advantages to benefit your recovery. At Detoxplusuk, our counsellors are always available to discuss your personal situation with you. There are many types of treatment, including inpatient and outpatient treatment. Both programmes provide a combination of individualised and group therapy. Yes, if you use it as prescribed. Take caution if you are also using other substances which may suppress breathing, like alcohol and benzodiazepines (like Librium and Valium), or other non-prescribed drugs. Speak to your doctor if you begin to feel any side effects.